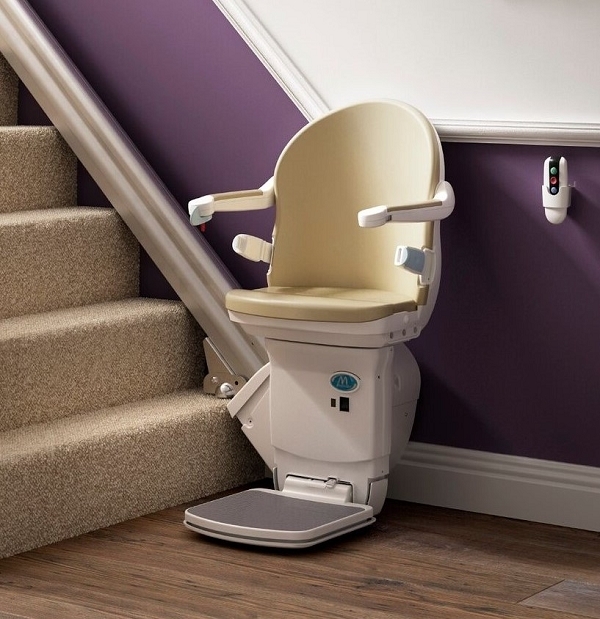 Peak Stairlifts carries a full line of NEW stairlifts, both straight and curved. Below are our current straight models. Handicare 1000 provides comfort and support and gives the option of upgrading with power features. The 1000 series is a long standing favorite of ours. It will provide a sleek look for your home, as well as years of dependable service. The Xclusive offers stylish comfortable seating at a very affordable price. The designers have paid attention to durability in high wear areas to deliver a robust, long-lasting solution. 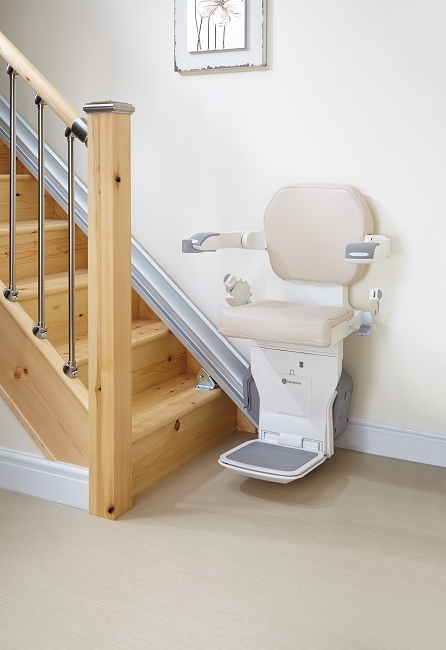 The Xclusive is compact, and the slim track creates an unobtrusive appearance on your staircase.